Asian sesame rice is so incredibly fragrant and delicious. From the moment the jasmine rice comes to a boil the nutty aroma permeates your senses. Once the sesame oil touches the steaming rice, the air is filled with a dynamic nutty aroma. All of this is building up to the pure satisfaction of diving into a bowl of this fabulous rice. You are going to love it. 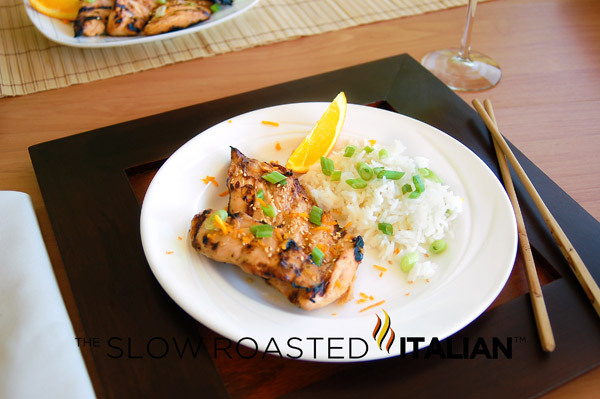 Asian Sesame Rice is the perfect accompaniment to Simple Asian Honey Grilled Chicken with Marinade. Enjoy it as a side or on its own. Simple Asian Honey Grilled Chicken with Marinade brings together your favorite Asian flavors in this tender and moist easy chicken recipe! 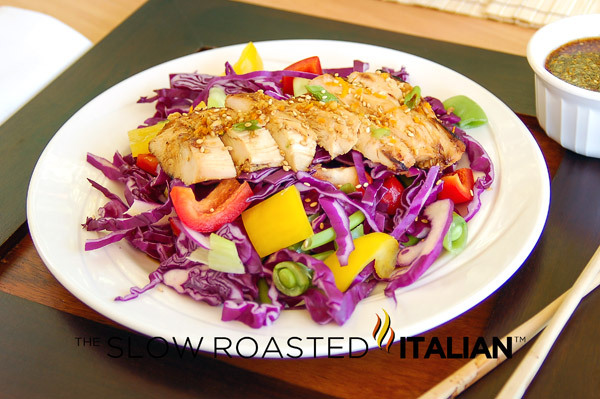 Sweet Summer Chicken Asian Salad; a colorful salad with an incredible Asian Honey Grilled chicken served over top! 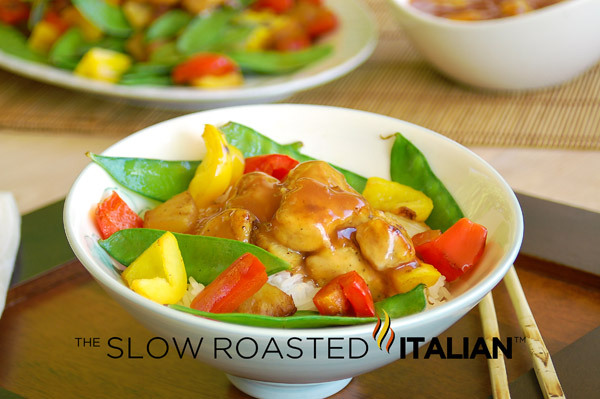 In a medium sauce pan over medium-high heat, combine rice and chicken broth and bring to a boil. Reduce to simmer for 20 minutes, until liquid has been absorbed. Fluff with a fork. Add sesame oil and toss to coat. Add scallions, salt and sesame seeds and mix into rice mixture. Serve and enjoy! I LOVE anything with sesame oil! I can smell the goodness from here! It's just barely breakfast time and I'm craving some rice now. I adore jasmine rice and can only imagine how much more divine it is with sesame oil drizzled in and scallions on top! 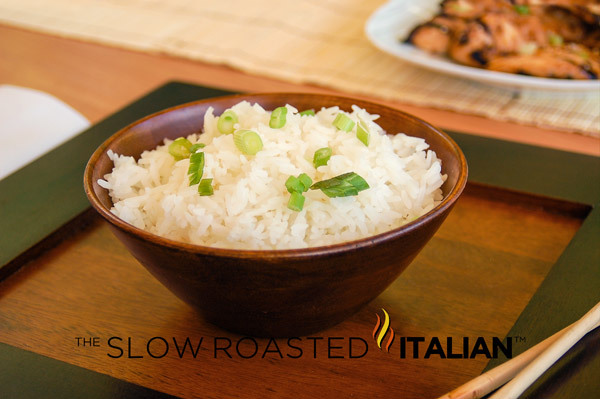 Jasmine rice is our favorite rice of all and I think this elegant but simple preparation rocks.